Cairns is home to many pests that are regularly invading our homes, businesses and investment properties in North Queensland. The tropical environment in which we live provides most our our pests with perfect conditions to flourish in our warm, humid, tropical location. Pest Off Solutions - Pest Control Cairns, specializes in the detection, eradication and prevention of termites. Taking great pride in providing the best pest control solutions for your Cairns home and property. ​We have many treatment plans to eradicate your pest problem from your home, safely and effectively. We pride ourselves on providing the best possible solutions for all your Cairns pest control needs. Rid yourself of these pests that hide during the day - but invade during the night. Cairns has many Cockroach species to contend with. 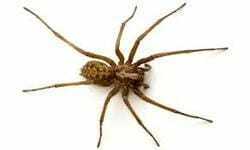 Cairns has many different species of spiders that can be a real nuisance in your homes. We can get rid of them for you so you can sleep at night. Having your property inspected by a pest control professional can give you peace of mind that your home is safe and secure from timber pest attack. 1 in 3 homes will have a termite infestation at some stage, be sure that your home is safe. Subterranean termites are a real hazard in the Cairns area, causing considerable damage and destruction to many homes and properties. Call today for an obligation free quote. Scratching in your roof ? Noises in your walls ? Seeing the odd rodent running along ? More than likely you have a rodent infestation. 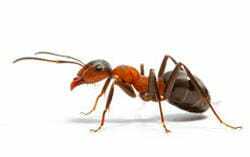 Call us today to eliminate these pesky critters. Can't enjoy the outdoor areas of your home any more ? Getting bitten when you're entertaining your guests ? Call Pest Off Solutions today so you can enjoy the outdoors again. Based on a 4 bedroom home. Have us inspect your home for Termite/Fungal decay issues and receive a report on things you can do to reduce your properties risk to timber pests. Aeroglen, Bayview Heights, Bentley Park, Brinsmead. Bungalow. Cairns North, Cairns, Caravonica. Clifton Beach. Earlville. Edge Hill. Edmonton. Forest Gardens. Freshwater. Goldsborough. Gordonvale. Holloways Beach. Kamerunga. Kanimbla. Kewarra Beach. Machans Beach. Manoora. Manunda. Mooroobool. Mount Sheridan, Northern Beaches, Palm Cove. Parramatta Park. Portsmith, Redlynch. Smithfield. Stratford. Trinity Beach. Trinity Park,Pest Control Northern Beaches Westcourt, White Rock. Whitfield. Woree. Yorkeys Knob.